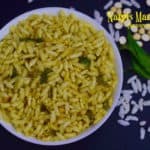 Nargis Mandakki |Davangere Special Puffed Rice is a very popular mandakki recipe from the town davangere located in central part of Karnataka. 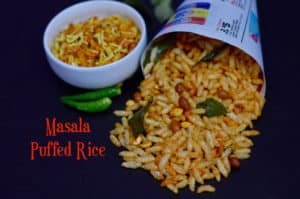 Nargis Mandakki|Davangere Special Puffed Rice is a very popular mandakki recipe from the town davangere located in central part of Karnataka. First of all add roasted gram or daliya (hurigadale or putani powder) into the blender (for dry grinding). Grind it until it becomes a fine powder. Put it aside. Heat oil in a big pot or pan on medium-low flame. Once oil heats up add mustard seeds,curry leaves,green chillies and then crushed garlic. Add the cinnamon powder,turmeric powder, salt and sugar, stir it well. 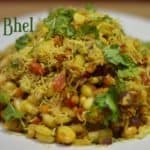 Finally add the puffed rice mix it and add roasted gram powder or daliya powder (putani powder) and mix well. Nargis puffed rice or nargis mandakki is ready to eat. 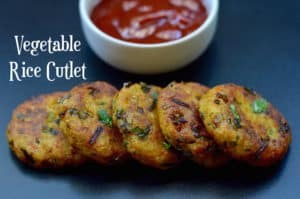 Serve with Tea/Coffee and Bhaji’s. Store in airtight container once it cools .Stays crisp for 2-3 weeks if handled well. 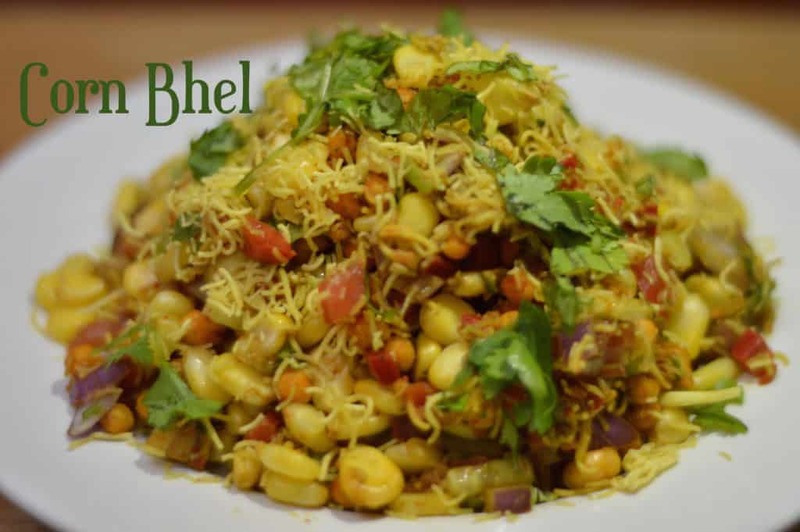 Enjoy it as it is or top it with chopped onion,coriander leaves and Sev for that extra taste. 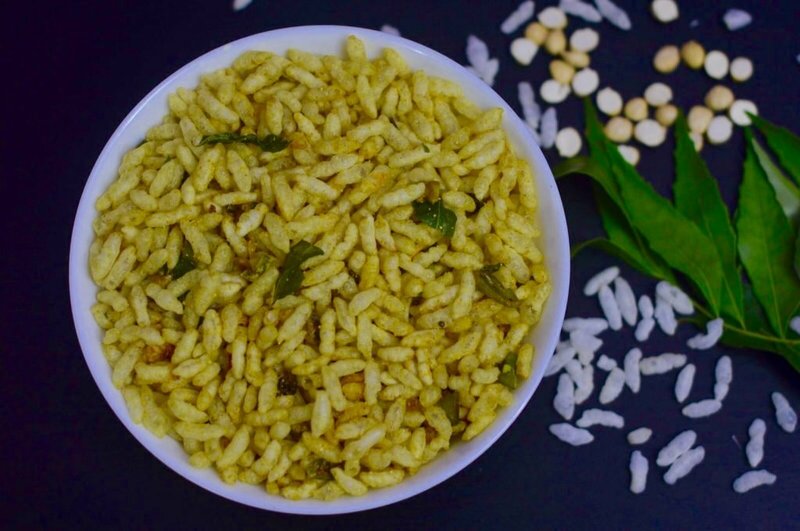 1.Puffed rice/Mandakki must be fresh and crisp for this. 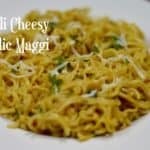 Incase it has turned a bit soggy, keep it in microwave and heat for 1 min. It will get crisp. Alternatively you can dry roast them in a wide kadai too separately for 1-2 minutes on low flame. 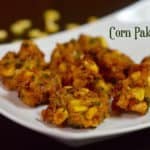 Broccoli 65|Broccoli Fritters It is a perfect appetizer for parties as it is very simple to prepare, healthy and tastes great. Take a bowl add all the above ingredients except oil & broccoli. Add water, mix it like a thick batter. Add broccoli florets in the prepared batter, coat with the batter well . Once oil is hot,add broccoli and deep fry till golden brown & crisp in medium flame. Garnish with fried green chilly and curry leaves . 1. Do not over coat broccoli florets with batter ,they become soggy. 2. 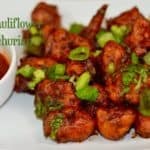 You can add food color ,i used kashmiri red chilli powder to get color and taste. In another bowl take peanuts. Now add lemon juice and mix it well. 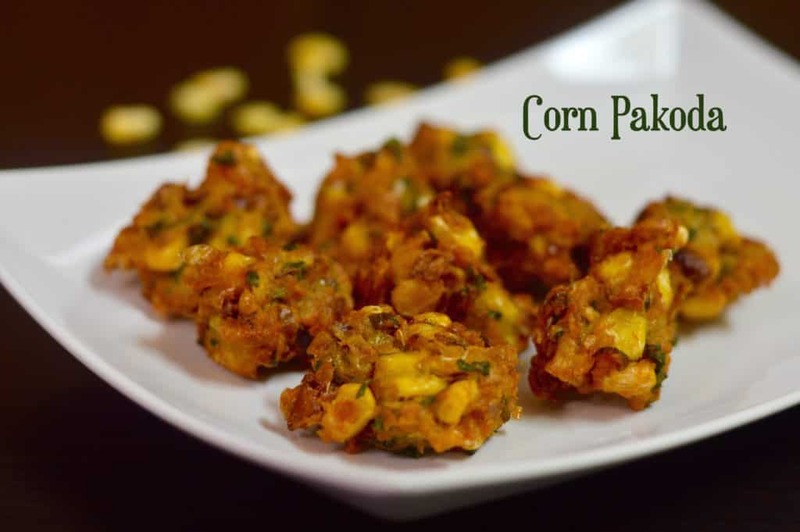 Add the prepared gram flour-rice flour mixture and roll them in the flour with a spoon. 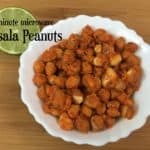 Sprinkle little water at a time and mix well until each peanut is coated well with masala. Take a microwave safe bowl and grease the bottom with oil. Now transfer some peanuts to the bowl. Place the peanuts as a single layer and do not place them on top of one another. Stir in the peanuts after 1 min, and place them back in microwave for 2 mins. Allow these peanuts to cool down after 2 mins. As they cool down they become more crunchier. 1.Do not add more water while mixing flour and peanuts,add little by little. 2.microwave power settings are different for different brands, hence if the masala peanuts are not cooked or crunchier after 3 min microwaving…you can microwave for more 60-90 secs. 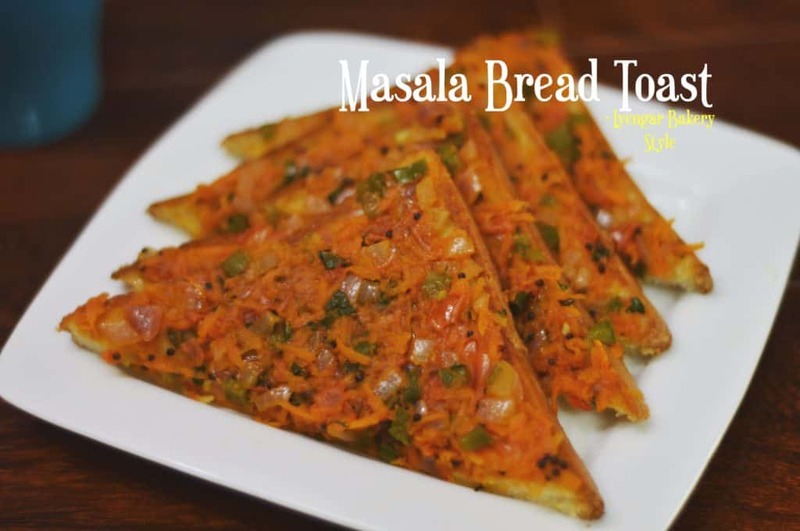 Masala Bread Toast – Iyengar Bakery Style as it is known in the Iyengar bakeries is an open faced sandwich topped with sautéed onions, carrot, capsicum coated in Indian spices. It is spicy, flavorful, colorful and everything else you need with a perfect cup of tea on a chilly evening in Bangalore. Heat oil in a pan. add mustard and jeera,let them splutter. Add onion, capsicum, green chilly, grated carrots and saute well until onion and bell peppers become soft. Add deseeded tomatoes, saute for a few seconds until tomato cooks till soft. Add jeera powder,chaat masala, red chili powder and stir well for another minute. Add salt,coriander leaves,tomato ketchup and mix well. Turn off the flame. 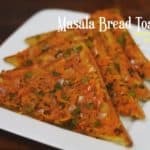 The topping for masala bread toast is now ready. Grease a tawa and heat it over a medium flame. Spread butter or ghee on both the sides of the bread piece and place on the tawa. Cook on a medium flame for a few seconds and then flip to the other side. 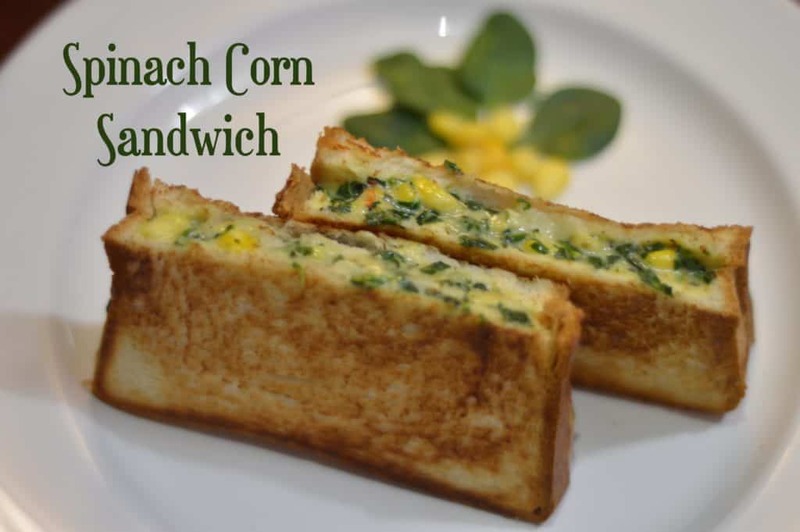 Cook on both the sides till they become golden brown and crisp. 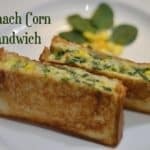 Place the prepared bread toast on a serving plate. 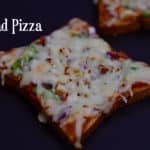 Spread 2 tablespoons of prepared topping over the bread slices and serve iyengar bakery style masala bread toast hot with a cup of tea/coffee.